In less than a year we would be moving to Bonn, Germany. We had talked for years about living abroad at some point. A few weeks after bringing home that brochure he was accepted into his company’s international rotation program, which meant that our long-time dream had suddenly become a reality. The program was extensive and made the actual move fairly easy. Despite this and the fact that our decision to move was made quickly and with little hesitation, I was still feeling the anxiety and fear that comes with such a major transition. I didn’t know where we would find the courage to move away from our family and friends, our support system, our home. I didn’t know how we would manage to keep our family strong in a place where we knew no one. Bonn, Germany, our home for the past two years. Fast-forward to late April, 2013. I was six months pregnant with our second child and, most days, alone with our 18 month old in a new city. My German was minimal at best, and I knew no one. My searches online and in-person to find other English-speaking parents had come up empty, leaving me feeling more alone than I ever had before. How do you meet people and build a routine in a country where you barely speak the language and there are almost no resources for English speakers? Through a lot of online searching and some good old-fashioned playground eavesdropping I eventually did make friends, and these friends became my bridge to our community and gave me invaluable support as I approached our daughter’s due date. In 2011, five weeks into my first-born’s life, I signed us up for a Northeast Seattle PEPS group. Over the course of those 12 weeks my world changed; my son and I grew into each other and I no longer felt the physical and mental stress that had plagued me just a few months before. We had surrounded ourselves with a beautiful, diverse group of women and babies who became so much a part of our lives that they remain so, even after three years and the distance of half the world between us. Just weeks into my new daughter’s life, I longed for this kind of connection. I needed to be reminded that not only would those difficult first months pass, but that others were working through them as well. I missed the feeling of support I’d had while in a PEPS group. While I had some wonderful friends in Germany, none were also finding their way through life with a new baby. I already knew that this sort of resource did not exist in our town for non-German speakers, and I accepted that this time around I would be navigating newborn life without such a group. Would PEPS Work in Germany? One of bonn baby’s first Newborn Groups. In the following months our daughter grew and we began adjusting to life with two kids. We visited Seattle for the holidays as life became more predictable and our children became more independent. It was during this visit that an idea began to grow in my head, and it wasn’t long before I decided that I wanted to bring a PEPS-like program to our town in Germany. I wanted to give back to the beautiful place we were living, to feel like a contributing member of our community, to offer women living with the strange combination of new-motherhood and expat life a chance to create the kind of bonds I’d had with my PEPS group. I connected with Mary Power, who was at the time the Program Director for PEPS (now Director of Programs and Expansion). She informed me that PEPS was creating a pilot expansion program aimed at helping organizations and individuals do exactly what I was hoping to do by allowing the use PEPS materials and support. I would be the first overseas partner, a prospect that excited us both. Upon returning to Germany I started my work building the organization bonn baby. I created a website, made fliers, began a Facebook page, and told everyone I could about bonn baby, hoping to spread the word quickly so that there might be enough people to start the first group. This challenge brought up feelings similar to those I’d had when moving: excitement, for sure, but also fear. I wasn’t sure I would be successful and was afraid this was maybe not the right decision for my family. Once again I found myself on the cusp of an adventure and full of anxiety. Despite these fears, the first group not only filled in time, but enough parents signed up to start a second group as well. I started off leading meetings by myself and eventually signed on three volunteers as bonn baby’s offerings grew. Now, one year after bonn baby began, almost 40 families have participated in Newborn or Toddler groups, with close to 30 more set to start in new groups this month. Our parents have come from countries all over the world including Denmark, Kenya, Hungary, Zambia, Spain, the US and the UK. 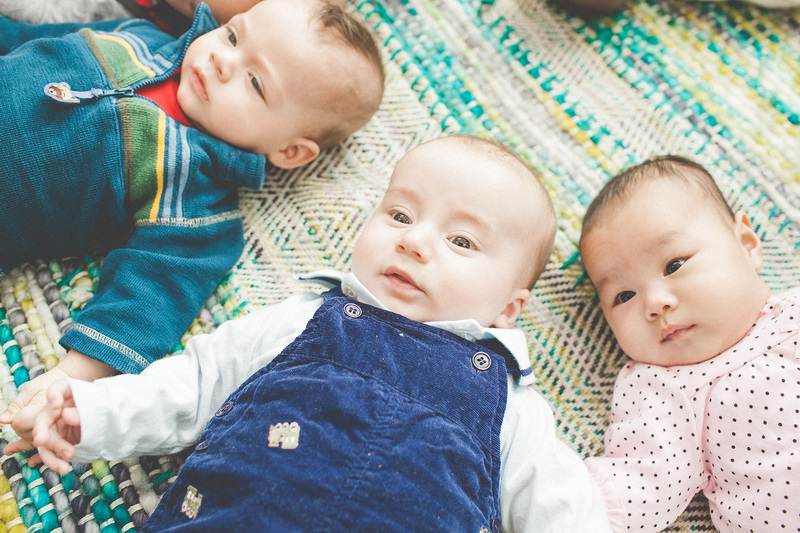 Expat parents living in and around Bonn have joined bonn baby groups to find friends and support while raising their children in a foreign country, helping create the first PEPS-based organization outside of the United States. A bonn baby volunteer with her group. As my family prepares to leave Germany this spring I find myself reflecting on the past two years. There were many times when I was lonely and afraid, and more than once I questioned if being here was the best thing for our family. We were so far away from the ones we loved and had relied on for years – our family, friends, my PEPS group – and I was unsure how to navigate without them. So many times I doubted myself, wondered if I was truly capable of accomplishing what I hoped to. Yet our time here has been incredible; my husband, son, daughter and I have all thrived in ways that make it clear to me coming here was the right decision. I can see now that even though our Seattle support system wasn’t physically present, they had already helped instill in me the courage needed to face my anxieties head-on, to choose adventure and growth over fear and stagnation. My PEPS friends played such a huge role in my first years as a parent and were so vital in helping me become more confident in my parenting and myself. It became important to me to help others who are away from their homes find this kind of support, and I know that were it not for the women of my PEPS group I would never have created bonn baby. Parenting is in and of itself an adventure. Being surrounded by others on this same journey – those who help us find the love, support and clarity needed to be our best parenting selves – reminds us that we are capable, that we can face challenges and become a stronger version of ourselves. PEPS has spent thirty years creating parenting support groups, giving the gift of this reminder to countless families. My hope is that bonn baby members will continue to navigate their adventures together, and that more PEPS-based organizations will find their way to parents everywhere. Julie is a PNW native, lover of travel, drinker of coffee and founder of bonn baby (www.bonnbaby.com). She currently lives in Bonn, Germany with her husband, Matt, and their adorable/crazy/loud/exhausting/adorable-again children, Kellen (3) and Bailey (1.5).